A website dedicated to enthusiasts all over the world for military items, from full sized preserved military vehicles to the models made of them in all scales. 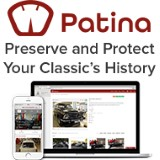 We currently have 4,000 photographs on our website for your enjoyment, featuring preserved military vehicles from countries throughout the world and from different time periods, from World War 2 to 1950’s and up to date modern vehicles currently in service. We also have original military vehicle photographs that were taken while in service, many from the Second World War, and featuring the soldiers that served alongside them. Other photographs feature the servicemen of army, navy and airforce of many nations in their uniforms either at the battlefront or home on leave with their families. We’ve visited many shows and museums over the years and here you will find features and often photos taken there. Coming soon are photos featuring scale models and die cast models in various scales and materials to give you more ideas to add to your own personal collection. So who does Miliblog appeal to? Miliblog appeals to many different people across all age groups and interests. Since we started Miliblog in December 2008, we never cease to be amazed to read some of the emails we receive. Some people search for the military vehicle they used to drive in the forces to show their grandchildren, or even just for pure nostalgic reasons. Others make superb models of military vehicles and aircraft, and use our photographs as reference to super-detail their models or even have ideas for conversions or scratch built models. Some visitors are rebuilding and preserving an ex-army vehicle; and use our collection to see how the finished article should look. Or even to see other fine examples of their own vehicle. Often these enthusiasts collect models of their vehicles whilst model makers will then buy a full-scale vehicle of their favourite model! Genealogy is very popular and many are keen to trace their forebearers. Where they were in the forces, our section dedicated to military badges has proved of interest where people like to see those worn by their relatives. In fact we heard from some children who were delighted to have found Miliblog, as it helped greatly with their school history project on World War 2, where they were able to use samples from our military vehicle collection to enhance their presentation. So grab a cup of coffee and enjoy browsing our website. We have many varying sections on Miliblog, something to appeal to everyone. Coming shortly, we’ll be featuring advertisements from associated businesses and individuals across the world, who like us, are military enthusiasts. You’ll be able to visit their sites and see the many amazing things that are available for our hobby, from uniforms, models, vehicle parts, badges and a whole lot more. In fact, if you are interested in advertising your products or services on Miliblog, then just send us an email to sales@miliblog.co.uk . We would love to receive your feedback. As our logo says, ‘Share and Explore’, – please share with us your views, photographs, vehicles, models, events and indeed your experiences of life in the forces.